With the move to the Windsor area—first to Datchet, then to Old Windsor, and finally to Slough, Herschel's permanent residence — Caroline found that once again, as was the case when she first moved to England, she must learn new skills to be useful to her beloved brother. William gave her a small telescope, with which he instructed her to ''sweep for comets'' and to note any other ''remarkable appearances'' she found along the way.31 She started her own astronomical journal on 22 August 1782. In the first year of her systematic scanning of the sky with the small telescope no comets materialized, but Caroline discovered about a dozen previously uncataloged nebulae and star clusters. However, her own observing, fruitful as it was, suffered continual interruptions as her brother requested help with his. When he trained her to look for new comets, Herschel evidently underestimated the amount of help he would need at his newest telescope, inaugurated shortly after he became King's Astronomer. 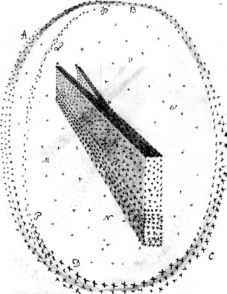 William and Alexander completed most of the optical work on William's ''large 20 foot'' telescope of 19 inches aperture during the summer of 1783. By late October, the telescope stood ready for use in the garden. Its mirror end rested near ground level; its top end, where the eyepiece was located, pointed up into the sky, suspended by a rope and pulley to a wooden frame shaped like a giant letter A in cross-section. The telescope was too unwieldy to be re-pointed frequently, so Herschel allowed the slow nightly revolution of the dome of the sky to bring objects to him. Perched on a wooden platform in the support structure, he gazed through the eyepiece at the stars and occasional nebulae as they drifted through his field of view. When an interesting object came along, he called to Caroline to note the time (for determining the object's coordinates) and to take a ''memorandum'' on its appearance. Several important studies with the new telescope occupied Herschel during the mid-1780s, including observations of Mars and the seasonal variation of its polar icecaps. His groundbreaking work on the shape and size of our stellar system (or galaxy) also began in this period. He called the topic of this investigation ''the construction of the heavens. ''34 This work tied together his observations of nebulae, which he believed at this time were clusters of stars, more or less distant, and his interest in the most profound philosophical questions pertaining to man's place in the universe. Herschel was not always correct in the interpretation of his observations, and a serious problem with his 1784 and 1785 papers is his assumption that all, or virtually all, nebulae consist of clusters of stars. The galaxies in the Virgo cluster are, of course, themselves very distant clusters of stars, and the globular clusters consist of stars, but some of the nebulae he described are cloudy, truly gaseous objects in our own galaxy. But his description of nebular ''strata'' touched on a nugget of truth, even if he sometimes applied the idea too widely or included both types of nebula in one stratum. Galaxy-nebulae tend to be seen far from the plane of the Milky Way, where there is less obscuring dust, and are often found in clusters; globular clusters can be found in all directions but are most abundant in the direction of the center of our galaxy, near the constellation Scorpius; and even the gaseous nebulae that misled Herschel could be said to lie in strata, for they tend to occur in the spiral arms of our galaxy. Way as a layer, divided on one side like a partially split English muffin. The Sun, he reasoned, lay near the middle of the stratum. The branching of the stratum on one side gave rise to the divided-stream appearance of the Milky Way in the sky, as he showed in his figure with the double arc of stars. Herschel did not mean a trigonometric survey. Rather, he had used the space-penetrating power of his telescope as a kind of sounding line: he translated the average number of stars in a given direction to an estimate of the relative ''depth'' of the stellar system in that direction. He assumed that, generally speaking, the stars were uniformly distributed. In that case, the number of stars in a given direction must correlate with the depth of the system in that direction. He also had to assume that his telescopic view probed to the very edge of the system, and furthermore that no stars, either near or far, were hidden from view by some obscuring matter. On a practical level, his technique began with choosing a given direction in the sky. He pointed the telescope in this direction and counted the stars in his field of view, some 15 minutes of arc in diameter. Sometimes he counted the stars in ten fields of view close together, and calculated an average number of stars for this gauge. For lines of sight into the Milky Way, a single field of view included hundreds of stars; his highest single gauge revealed 588. Some areas yielded no stars, or very few. He took 675 gauges, many of them averages of ten separate fields. distance probed as ''not less than 497 times the distance of Sirius from the sun. ''40 A field with only 5 stars indicated that the Milky Way nebula in that direction could not extend to more than 100 times the distance of Sirius. Herschel had dreamed of gauging the entire heavens this way and plotting the resulting surface, but he settled on a cross-section created from selected gauges. His cross-section formed a great circle passing through the poles of the Milky Way (i.e., at 90° from the plane of the bright zone) and intersecting the Milky Way at the point where it appears to branch or divide in two. The resulting plan of the starry system (see figure 4.8) is roughly oval, with very irregular edges and two thin ''branches'' extending from one side. He filled in the interior with stars, and showed the Sun as a dark dot near the middle. The picture is startlingly like a rough cross-section of our galaxy, at first glance: the slab of stars is thin but wide. 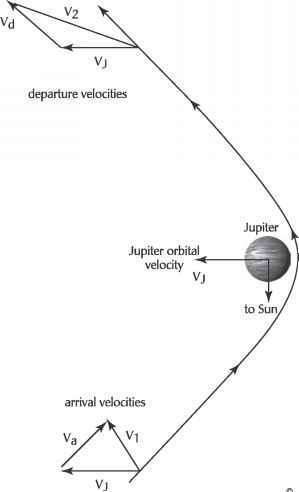 The correspondence is largely fortuitous, because, contrary to his belief, Herschel only probed a fraction of the distance to the edge of the system. Interstellar dust severely limited his view, particularly in the direction of the center of the Galaxy where he saw the dark rift in the Milky Way. And because he could not see the edge of the system, he naturally found that our Sun lies near the center. Nonetheless, this ''map'' of the heavens represented a radical advance in thinking about the form of our galaxy. His cross-section was the first of its kind and nothing was available to replace it for about 100 years. All future work on the shape of the Galaxy would pick up where Herschel left off. Although he could not fix the absolute size of our Milky Way nebula, nor gauge the sizes or distances of the hundreds of other known nebulae, Herschel could not resist speculating about the nebulae as island universes. The Milky Way — ''the stupendous sidereal system we inhabit, this extensive stratum and its secondary branch, consisting of many millions of stars''41 — he believed must be a ''detached nebula,'' or, to use a more modern term, an island universe, separated from other islands by a considerable distance. He estimated qualitatively the true size and shape of other island universes, based on their resolvability—whether he could see stars, or just an indistinct haze. He concluded that the Milky Way was ''not indeed one of the least, but perhaps very far from the most considerable of those numberless clusters that enter into the construction of the heavens. ''42 He correctly identified the Andromeda nebula as one of the nearest of the island universes.